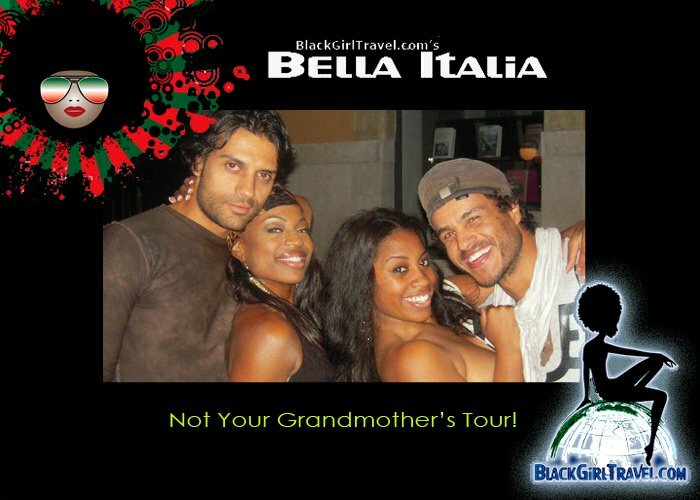 Black women “getting their swirl on” when traveling abroad—are you one of them? Just last week, I picked up a provocative new book: Don’t Bring Home a White Boy: And Other Notions That Keep Black Women from Dating Out (Gallery Books, $24.99) by Karyn Langhorne Folan. A sister who’s a Harvard Law School grad, former law professor and novelist, Folan plays off the unspoken admonition many of black women have received for generations. The author herself is married to a white American man, and in her book includes real-life anecdotes from black and white men and women as she explores the “notions” that keep interracial dating off the table for many sisters. But what interested me most is her last chapter: “It’s the Same Story Around the World.” Here, she writes how “Traveling the world—and meeting men from other countries and cultures—can offer American black women a new view of themselves as desirable.” She shares the stories of sisters who’ve lived in Europe, who talk about the very different dynamics of interracial relationships on that continent versus in the States. I’ve written in this blog about a romantic encounter with a Frenchman in the South of France, being asked out by a young Italian after dining at his restaurant, and generally being treated as a fascinating creature by men of various backgrounds when traveling solo around the world. And of course, there are other tales. The point is, many times African-American women feel more love from men abroad than we get here at home. Perhaps guys in other countries and cultures see us as exotic and different; perhaps they’ve seen Hollywood films, heard rap songs and buy into stereotypes of black women as hypersexed and easy. Who knows? But many genuinely find us attractive—natural hair, mocha skin, and all. And what woman doesn’t want to feel adored and appreciated for who she is? I’d love to hear about YOUR experiences. Do you find that when you travel abroad, you’re approached by men of different ethnic backgrounds? Are you more open to dating across cultures when you’re on the road than you are at home? And have your experiences with men of other races and national backgrounds shaped your perceptions about black women’s beauty and desirability? Do share! "These Are Not Your Grandmother's Tours!" ©Copyright Maureen Jenkins. All rights reserved.